The first of my planned Valducan Archive adventure has officially sold. 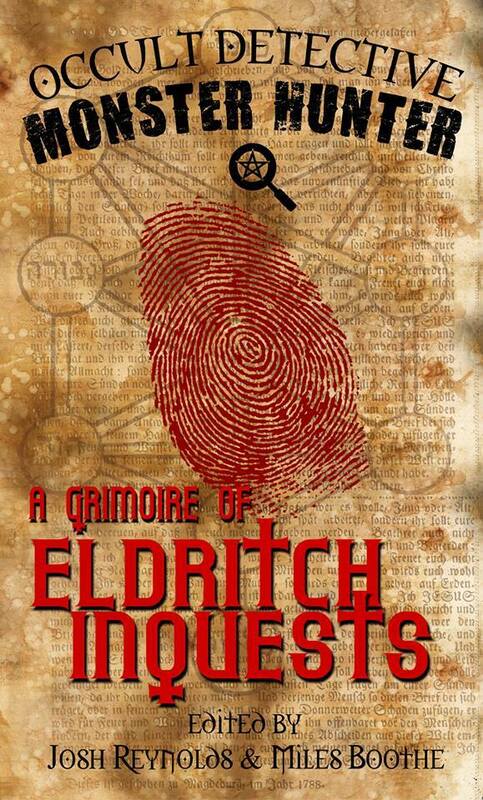 The Vampire of Somerset, a 1930’s story following Lady Helen Meadows will appear in Emby Press‘ upcoming ‘Occult Detective Monster Hunter: A Grimoire of Eldritch Inquests’ anthology. Prior to the sale, The Vampire of Somerset won the Editor’s Choice for Horror on the writing workshop that I belong to. “The Vampire of Somerset” provides some new twists on the vampire mythos, and these are some of the strongest elements of the piece.I really enjoy learning about the different types of vampires, the powers of vampires, the techniques for vampire hunting and killing, and the details of the order. These not only show vampires in a new light, but they also put the vampires in a new context, with the order and their fascinating swords.So I think the story does a very strong job of worldbuilding, providing a fresh and compelling situation. Release date for the anthology is set for December. It will be available in hardback, paperback, and epub.